The Olympic Games are over for another four years and here ARM's PHIL DILLON looks back over the action from Rio to pick his best 10 moments (in no particular order). It was supposed to be one of the most nailed-on gold medals of the Games with defending champion Renaud Lavillenie of France a raging favourite. 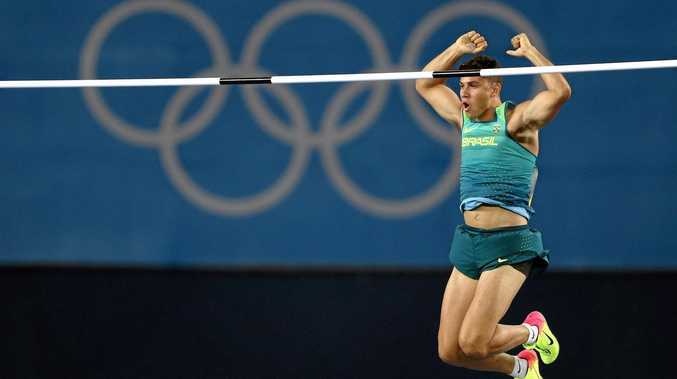 Lavillenie looked on course to retain his title after clearing a height of 5.98m but Brazil's Thiago Braz da Silva had other ideas and roared on by a fanatical home crowd, cleared a height of 6.03m to win a shock gold with a new Olympic record. The noise in the stadium was deafening and got even louder at the medal presentation. Great Britain's Mo Farah carried the hopes of a nation on his back once more when he went in the final of the 10,000 metres on the opening night of track and field. He was favourite to retain his title but had to do it the hard way after falling over halfway through the race. Farah did get back to his feet and stormed home to victory. On the last night of athletics, the Brit was going for the double in the 5000m and again did not disappoint, winning in style to become only the second man alongside Finland's Lasse Viren to win both long distance events at consecutive Games. Talk about pressure, the Fiji men's sevens team had it in spades ahead of the Games. Everyone expected the team to win the country's first gold and it delivered, easing through to the final before thumping Great Britain 43-7 in the first sevens final in Olympics history. 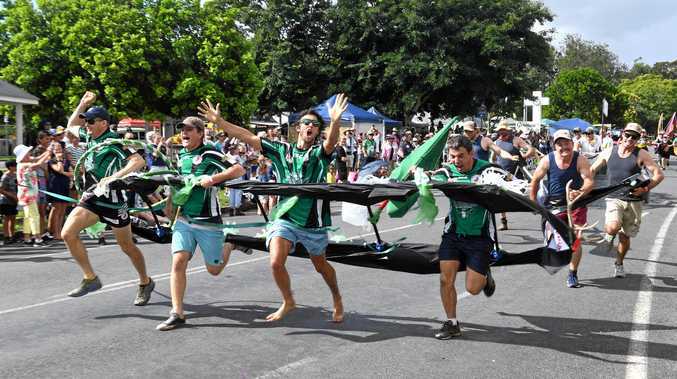 The party started in Suva not long after and is still going on, with Prime Minister Frank Bainimarama declaring yesterday a public holiday. Usain Bolt is arguably the most recognised athlete on the planet and his fame will only grow after dominating once more in the sprints. 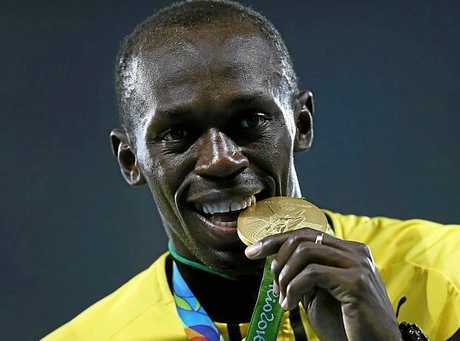 Bolt was going for an unprecedented third successive win in the 100m, 200m and 4x100m relay. There had been doubts over his fitness before the Games but the Jamaican delivered spectacularly and more importantly did so with grace and favour. His conversation with Canada's Andre de Grasse in the 200m semi-final was something that will stick in the memory and summed up Bolt the man. Australia's golden girl Chloe Esposito. Hands up who had heard of Chloe Esposito before Rio. The modern pentathlete probably could have walked down any street in Australia and would not have been recognised. 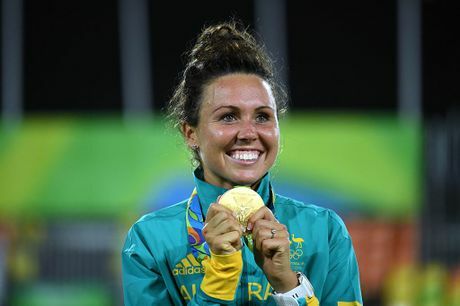 But after winning a surprise gold, she has become Australia's golden girl. Esposito started 45 seconds behind Poland's top-ranked Oktawia Nowacka in the final run, shoot discipline but her eagle eye allowed her not only to catch the Pole but storm past her after missing just one target the four lots of five shots. It was incredible to watch. While most people in Australia were talking about Cameron McEvoy being favourite for the men's 100m freestyle, Kyle Chalmers quietly went about his business to reach the final. Still not many picked the 18-year-old South Australian to get in the top three, but after turning in seventh spot, he stormed home to get the gold, just touching out his rivals. Expect more from the big fella over the next few years and who knows what he can achieve in Tokyo 2020. 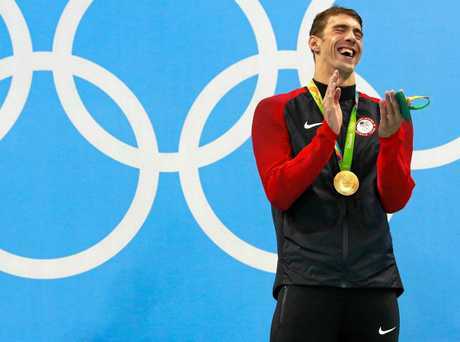 Michael Phelps has done it all when it comes to the Olympics, but there was one special moment for me as he added to his Olympics medals tally with five golds and a silver. His 22nd gold came in the 200m individual medley, an event which he has dominated over the past three Games. He was aiming to be the first swimmer, male or female, to win the same event at four Games. To no one's surprise he came through and won again, holding up four fingers in the pool after the success to give photographers the perfect photo to go with his achievement. No one would have been that surprised if Michael Phelps had been beaten by the likes of South Africa's Chad Le Clos or Hungary's Laszlo Cseh in the 100m butterfly final, but Singapore's Joseph Schooling would not have entered into the equation as a likely gold medallist. But the man who does his training in the US upset the odds by winning in an Olympic record time of 50.39 seconds. There was also a first with Phelps, Le Clos and Cseh all dead-heating for silver. There were a few world records during the Games, but none were quite as remarkable as the one set by South African Wayde van Niekerk to win gold in the men's 400m final. The race was packed with quality, with defending champion from Grenada, Kirani James, America's LaShawn Merritt and Trinidad and Tobago's Machel Cedenio part of a world-class line-up. All of the eight athletes ran under 45 seconds but none were anywhere near van Niekerk who scorched clear to set a new mark of 43.03. It was a run which took the breath away. 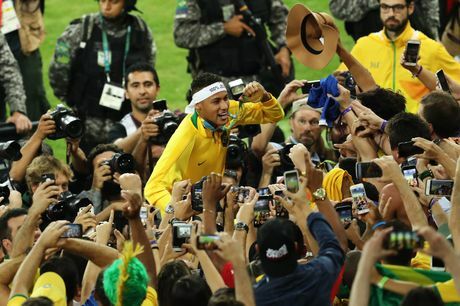 Neymar is swamped by media and fan after clinching the gold medal for his country. The people of Brazil had been suffering for four years following the humiliating 7-1 defeat to Germany in the World Cup semi-final at the Maricana Stadium. Barcelona star Neymar, criticised by supporters for a slow start earlier in the tournament, turned things around and after scoring a spectacular free-kick in normal time, he was the one who fired home the winning penalty in the shootout after the game finished 1-1 to send the fans into raptures across the country. In one of the endearing moments of the Games, Neymar sank to his knees and cried tears of joy as Brazil broke its duck in Olympics football.